In April, 2011, I had the priviledge of visiting schools in Cambridge and Acton, Massachussetts on behalf of Regina Public Schools. First, a little background about the purpose of our visit. Regina Public Schools is currently undergoing a process called structural innovation in all of its schools (key innovations include: flexible teaching arrangements and instructional groupings, teacher collaboration, interdisciplinary and inquiry-based teaching and learning, and inclusive practices). I previously wrote about what we are doing at Wilfrid Walker in April 2011 and May 2009. As part of this process, the division asked its schools to undertake an inquiry process of its own. We were tasked with the challenge of researching and visiting schools somewhere in North America who were practicing some of the key innovations themselves and then bring back ideas and proposals for our own schools after seeing them in action. What a wonderful learning opportunity. On the first day, we visited two schools; Graham and Parks Elementary and Haggerty Elementary in the Cambridge School District. Next year, elementary schools in Cambridge will change their structures to allow for four junior high schools that will be co-located in elementary schools. Students will attend elementary school from Pre-Kindergarten/Kindergarten to Grade 5 and junior high school for Grades 6-8. This decision was made due to small co-horts of students at these grade levels at some schools and will allow for students to be taught in subject groupings. No bells rang to mark the change of classes. There was no hustle and bustle in the hallways. These were my initial thoughts as I entered Graham and Parks Elementary School. The old building was welcoming and full of light in its entry. Student artwork was displayed and the few students who were in the hallway smiled and welcomed us to their school. The school is built around a central court-yard that contains a community/student maintained garden and compost bins that are maintained through a school composting program. The school layout itself is organized into classrooms, library, cafeteria, gymnasium, auditorium, administrative offices and computer lab. As a tech enthusiast, I was keen to observe a number of Smartboards and a couple of mobile laptop carts in addition to the computer lab. There were also computers in the library. Graham and Parks has traditionally been a JK-8 school and is considered to be an "alternative school" because it was founded by a partnership between parents and teachers in 1981 to provide a student-centered learning environment in multi-graded classrooms. 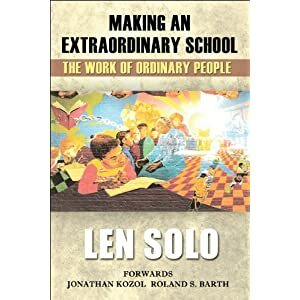 It's first principal of the school, Len Solo, authored a book entitled "Making an Extraordinary School: The Work of Ordinary People" about the creation of Graham and Parks. Solo served as Principal of the school for its first 20 years. Parent involvement in the school was quite evident. While we were there, parents and grandparents were busy volunteering by reading with students or helping out in the classrooms. The parent council plays an active role in the hiring of the Principal and other staff, although the final decision is done by administration. They also provide input into school organization and programing through a steering committee which has elected representatives from parents and teachers. Due to the size of the playground, recess is done in rotation. Lunch is also served in rotation in a cafeteria. The menu is set by the district and some students bring their own lunch. There is also the option for some students to receive subsidised/free lunch but are not identified as everyone receives tickets. There is an extended school day for SEI and students who failed the MCAS as extra tutoring time. Students are included through “special invitation” and are transported home at a later time. There are also Harvard students who volunteer their time 1:1 during this tutoring time. Other programing notes include French as a second language in Grades 5-8 (5/6 – 60 mins/week & 7/8-135 mins/week). They also have a Band program which is mandatory in Grade 5 where everyone plays the same instrument and after Grade 6, the band period is mandatory, but students can belong to the chorus or play an instrument. One evaluation piece that I found interesting was the use of portfolios at the Grades 7/8 level. The portfolios are developed by students and then are presented at the end of Grade 8 year to parents and teachers. This takes the place of report cards. Haggerty is PK-6 and has approximately 250 students. They run an inclusion model and many of their classes are team taught with a general educator and a special educator with one assistant per class. Class PTR is 1:20 (PK/K) and 25 (1-6) under teacher contract.They have a full day Kindergarten that is a looped class for Kindergarten and Junior Kindergarten. Upon arriving at the school, we received a very warm welcome. Our visit was short, but very interesting. We began our visit with a tour. We observed classrooms that were very structured and expectations and rules were posted around the classroom and on desks. Students's desks were organized into groups or teams. We also observed co-teaching in action in two different classrooms. One educator took the lead on the lesson while the other educator supported the lesson by adding in during the discussion and explanations and circulated to ensure students remained focused. Both teachers were in charge and did not focus their attention on any student in particular. They were both there to help all students. We later learned, during our meeting with the staff who was the general educator and who was the special educator. In addition to the teams of teachers (general and special educators) at the school, they also have a principal, an assistant-principal, a literacy coach, a math coach, an English coach and an inclusion coach, a tech specialist, an art specialist and a gym specialist. They also have a site-based substitute teacher in the school for the year who is reassigned to help in classrooms if not needed. Literacy Coach: does reading recovery, work with students who are below grade level, works with students who are not on Ed. Plans but create interventions, works with kids who are struggling but not on Special Ed. Program. Math Coach: is helping teachers assess what the math challenges are in their classrooms and how to address them. One teacher shared her experience with a program offered in her district called the Aspiring Leaders Program. It a volunteer group of approximately 15 teachers who are working together and talking about teaching. They discuss problems of practice and discuss solutions. They then observe a teacher in action and propose solutions. The teacher found it to be a very rewarding experience. They meet monthly to observe a teacher in the classroom and discuss issues of concern that they want to work on. The administrators are supportive of the program and offer coverage to ensure the teacher can be released to participate. On the second day, we visited two schools; Merriam Elementary and McCarthy-Towne Elementary in the Acton Public School District. These schools are unique because they share the same building, yet maintain separate programs and philosophies. and McCarthy-Towne (left) Elementary Schools. The two schools we visited were located in one building designed to accommodate the two schools. They share a gym, library, and cafetorium but maintain separate computer labs and meeting rooms which are all located in the central/middle part of the school. Classrooms are located in hallways branched off the main part of the building. They share an assistant principal who splits his time between both schools as required. The two schools may be located in the same building, but maintain their own programs and philosophies. It was really interesting to see how unique two schools can be, yet they are located under one roof. We received a very warm welcome from both schools during our visit and enjoyed our day immensely with everyone. Merriam is a K-6 elementary school with approximately 550 students. Programs of note at Merriam include a project-based curriculum with looped classes. They have ELL and a Before and After School enrichment program. They also feature a community service learning program. More information can be found in their School Handbook: Merriam School Handbook. They also have an explanation of their unique programs listed on their website. To help build a sense of community in the school, there are approximately 40 “Family Groups” in the school with about 15 students in them (K-6). They meet regularly and stay together the whole time students are at the school (same group starting in Kindergarten until done Grade 6). They also meet every Monday morning, at an assembly in the cafetorium to establish a sense of community. There is also an end of day assembly on Friday afternoon during the first three months of the year and during the last three months of the year. This allows students to have a positive start and end to the school week and usually allows opportunities for students to perform in front of an audience. There is a paid Educational Assistant in each classroom that is funded through fundraising money provided by the parents.Kindergarten is half days with an option for parents to have an additional half day at their expense. There is a Teacher Council comprised of an elected representative from each collaborative cohort that meets with the Principal every other Tuesday morning for an hour before school. Great relationships and connections with students and parents. Can make links from previous year when teaching new material. Less stress because if you don’t finish everything before June, you have one more year to get it all covered. Knowing two years of the curriculum. Long-term projects that last both years can pose a problem for a new student entering the school. Merriam has also divided its staff into collaborative teams (1/2, 3/4, 5/6). They meet for 1.5 hours on Fridays and briefly throughout the week over lunch to plan and discuss issues together. While they are not in their classrooms for these meetings, the classroom assistant covers the classroom. During their team meetings, they follow a TRIAD model where they have a chosen facilitator for their meetings that rotates week-to-week. They spend part of the time meeting in a grade specific meeting and the other half meeting as a cohort. They find it an advantage that there are others who have taught the grade the previous year whom they can consult with. Just because the staff/classes are organized into cohorts, they don't always do the same things in individual classes. Sometimes they mix the themes. Sometimes they do the same projects, sometimes they do different projects. When asked what this looks like, they said that sometimes they share a project idea during the meeting but then everyone returns to their individual room and rolls it out in their own way. Other times they all do the same project and work together to get it done. During their meetings, they also map the curriculum out in the spring for the fall ahead and sometimes they benchmark student work or compare results to plan for student success. Currently, classrooms are straight grades located throughout the school. At the end of this year, staff will be voting on clustering grade groups together to allow for better collaboration next year. They have the SLOYD art program in place at their school and an art inclusion specialist that works with teachers to integrate art into instruction. The artwork around the school was spectacular. From original works of art displayed near the art room to the intricate and creative projects displayed near classrooms that integrated art into other subjects. The integration of art was evident and well displayed around the school. Teacher collaboration continues to pose a challenge for staff. They do their best to meet on their own time and currently use sub release time to allow for groups to meet for 1.5 hours every other week. This is under review for next year. Their principal prided himself on having a dedicated staff who are in constant evaluation and reflection mode to find out how to service the learning needs of their students and to allow for more collaboration time. They are looking at the schedule for next year to increase collaborative prep time when common grades are with specialists to allow for meeting time in grade specific groupings. They are also considering establishing a block of instructional time where there is no pull-out because constant pull-out is a problem (30-40 times/week/class) at their school. There is one mandated staff meeting a month after school. Common prep-time not mandated (3 x 45 minutes prep periods a week/teacher) but staff feel working collaboratively is important so they often try to meet on their prep time. There is also early release in their districts on Thursdays for PD (School ends at 1:00 and teachers have PD until 3:30) where one a month is local PD others done by district. To accommodate this in their schedule, the district increased length of time other 4 days so that instruction time is not missed. Not driven by MCAS for instruction. They teach test writing skills but do not teach to the test. They are an inquiry driven and project based school. We had an interesting discussion about assessment with staff representatives. McCarthy-Towne does not issue traditional report cards, rather they use a skills checklist with portfolios for evaluation. They have 3-way conferences twice a year and celebration of learning evenings. Goal setting by students starts at 3rd grade. Assessments are typically done using rubrics, comments and checklists. There are some grades given on certain assignments at the 5/6 level to prepare for Junior High School. Checklists for year-end assessment are grade specific and help indicate if child is at grade level. They are presented at the end of year conference and are attached to the student portfolio. They are not sent home prior to the meeting with the parents. Evaluation: I found it very interesting, that despite the use of high-stakes testing at these schools, there was more emphasis on the use of portfolios and skills assessment than on test scores. It could be that because their students have higher than average test-scores, there is no need to focus on these tests. However, as we change the way we teach in our own division, I have begun to realize more and more the need to develop other forms of reporting to parents than the traditional report card. I am a big fan of portfolios and believe that this method could be used by schools here in Regina to demonstrate students learning. Paired with student led conferences, presentations and teacher completed checklists of skills at the end of the year, this type of assessment would be a more accurate and informative for teachers and parents. It will be challenging to implement, as many parents will have a hard time accepting an assessment report that doesn't contain letter grades. Moving beyond traditional report cards is an important step in the implementation of new ways of teaching in our division. Looping: I liked the idea of implementing this practice. Having experienced first hand the ability to work with the same group of students over a number of years, I know first-hand how beneficial it is to the students and the teacher to know the needs and abilities of the students to support them on their learning journey. Being able to see them grow and learn in a supported way is a reward for the teacher. The sense of belonging and team dynamic that develops amongst the students in the group is important and contributes to a positive learning environment. Teacher PD and team support: In both districts, there was supported learning for teachers in some form both inside and outside of the classroom. I really like the idea of the formation of groups of teachers who work and learn together. Whether it is the district-wide version described in Cambridge or the collaborative-team support observed in Merriam, I believe that a version that works for Regina Public should be developed. Giving the chance for teachers to see each other in action in the classroom is some of the best professional development an educator could experience. Working collaboratively to solve problems and reflect on practice would be a great opportunity for teachers of any level of experience to have. I also liked the model in place in Acton for weekly PD opportunities. There was a mix of local, district and teacher choice PD opportunities available on a weekly basis. This wasn't offered after school or on weekends, but during the day on a regular basis. Implementing this for the division would allow the opportunity for all teachers to receive the regular in-servicing required to remain current in their practice. Inclusion: We observed very similar practices for diagnosing and identifying special needs in particular students in Massachusetts, that we already have implemented in our own division. A tiered approach to intervention was used there and here. Supporting student success is just as important to us as it was evident in the schools we visited. A big difference in the level of support is the number of human resources available to the students in both Cambridge and Acton. From district funded support staff in the form of classroom assistants, school counselors, school psychologists, literacy and math coaches, and special educators teamed with general educators, it was rare to see only one adult in a room with 25 students. This is a big ticket item for our division and for our province who is looking at cutting the number of educational assistants in the classroom. If we want full inclusion to work, we need to put the human resources in place to ensure its success. Being able to visit and learn from other educators was a very rewarding experience. I am very grateful to my division for allowing us this opportunity. This visit gave me the opportunity to see other teachers in action, learn about their challenges and reflect upon my own practice. I have also turned into a much "bigger picture" thinker after these visits. I am now constantly thinking and brainstorming new ideas not only for my school but for my division as a whole. Knowing that we are all experiencing similar challenges was important for me to see. We all have student improvement and learning at heart. How we approach that job is perhaps a bit different, but we are all doing our best to meet the individual needs of our students with the tools and resources we have at hand. We left Massachusetts with the hope that some of the relationships we built while we were there will continue. We still have a lot to learn and share with each other. This post is cross-posted from Free Technology for Teachers where I appeared as a guest blogger this weekend. I am a Canadian French Immersion Educator at École Wilfrid Walker School in Regina, Saskatchewan. That means that I teach students whose first language is English, in French. Students in a French Immersion program are taught all subjects in French starting in Kindergarten. By the time they reach middle years, they have strong oral, reading and writting skills in both languages. As a second language instructor, I often find it a challenge to find relevant resources for my students that are both at their reading level and at their interest level. I teach Social Studies and Science to students in Grades 6/7/8. These subject areas are often a challenge at this grade level in French Immersion as most resources for middle years in French are written for first language readers in Quebec which means that the vocabulary and verb tense can be difficult to understand. Having students read a text and fully comprehend it can be a frustrating experience. Being a small market, publishers who create fantastic materials in English to support our provincial curriculum often ignore the Saskatchewan French Immersion market, as it is not profitable for them to produce the same resources in French. As a result, I have come to rely on online resources to support my instruction of our curriculum. How to present, share and utilise these online resources with my students is always a challenge. As an avid user of technology in my classroom, my students and I have experimented with numerous sites and applications over the years to enhance our learning experience and to showcase our deeper understanding of curricular outcomes. 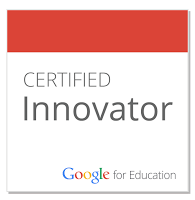 Our school division uses Google Apps for Education. All of my students have their own accounts that I can control. This has revolutionized how I teach and interact with my students. Through one platform, my students can access their work at school or at home. I can share documents and presentations and decide if they are public or private. They can email me their questions and comments and I can reply anytime I choose from my computer or even my phone. They can also build collaborative documents and presentations with their classmates. We have also cut back on printing costs because my students simply share their assignments with me for evaluation. No need to waste paper in my classroom. Google Sites has become an easy way for me to share links and resources with my students. This year we have used this platform in numerous ways in both Social Studies and Science. Being able to easily create a site and have numerous editors has empowered my students to become responsible authors who are excited to learn about the world around them and share their knowledge in a second language. Knowing their site has the potential to reach a global audience adds an extra level of engagement. My first experiment with Google Sites was to create a site to frame a project my Grade 8 students were working on about the ownership of water. Le GRAND Débat linked resources and presented the steps each group had to follow to prepare for our class debate. It was easy for me to embed video tutorials and explanations into the site. Groups also created podcasts using their iPod Touch and Sonic Pics to introduce their arguments. Using Google sites for this project was very well received by my students. It was easy for me to create a site, use a template and add resources. Building sites to showcase student projects: Grade 7 Mining project and Grade 6 First Nations Legends and Constellations project. Building collaborative inquiry driven projects. My students wanted to learn more about the recent disaster in Japan. We built this site in groups (Une catastrophe au Japon) based on questions we had about the disaster in Japan and making connections to our lives in Canada. We then used the site to promote our student council's efforts to raise money for the relief effort in Japan and to educate other students in the school about the disaster. They were rewarded by raising over $1000 for their charities of choice in a school with less than 250 students in two weeks. The more I use Google Sites in my classroom, the more I love it. I would be interested to learn how other educators are using this tool in their classroom with their students. 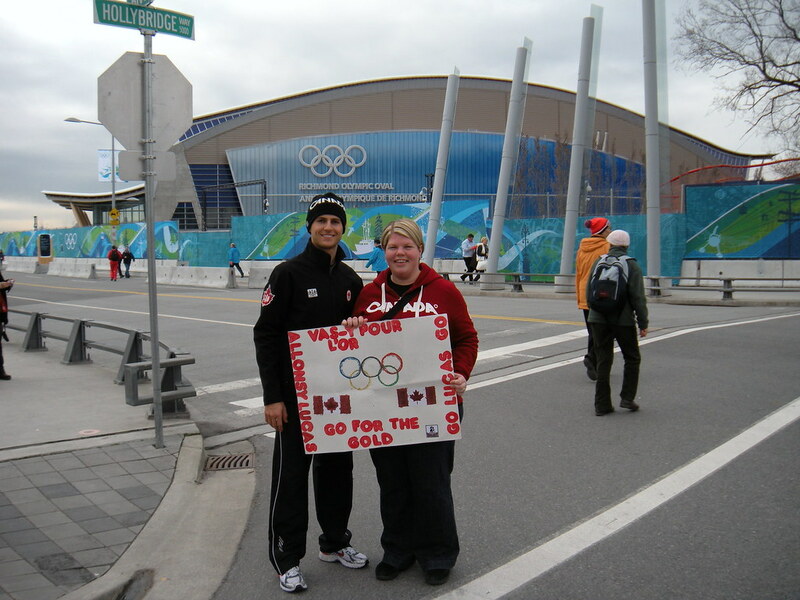 Joanna Sanders Bobiash is a French Immersion Middle Years Educator and Teacher Librarian in Regina, Saskatchewan, Canada. Joanna maintains a blog entitled My Adventures in Educational Technology. Joanna is also on Twitter. This morning, I had the pleasure of co-presenting with Erik Van Dusen to high school teachers from Winston Knoll, Balfour and Thom about ways that we can use online tools to share resources and collaborate. Despite working for the same school division, Erik and I have only met a few times in person. We have had many interesting discussions and shared many resources online through Twitter. In the expanse of a few short months, he has become a valuable member of my PLN. Our presentation itself is a great of example of how the tools we presented today can easily be used for online collaboration by anyone. In fact, our entire presentation was built online using Google Presentations and discussions were had using Twitter to finalize what we were going to say and how we were going to present it. We gave the same presentation three times as the teachers from the three schools were organized into similar subject groupings. It was really interesting as an outsider from the elementary level to hear about some of the innovative ways teachers at these three schools are integrating technology into the classroom. On Monday, April 4, I will be sharing some of my experience with Google Sites with the Teacher Librarians in my division. Here's the guiding presentation I will be using, however, most of it will be hands-on and live demo from my sites' menu. There are some good links here if you want to learn more about Google Sites. View more presentations from Joanna Sanders Bobiash.